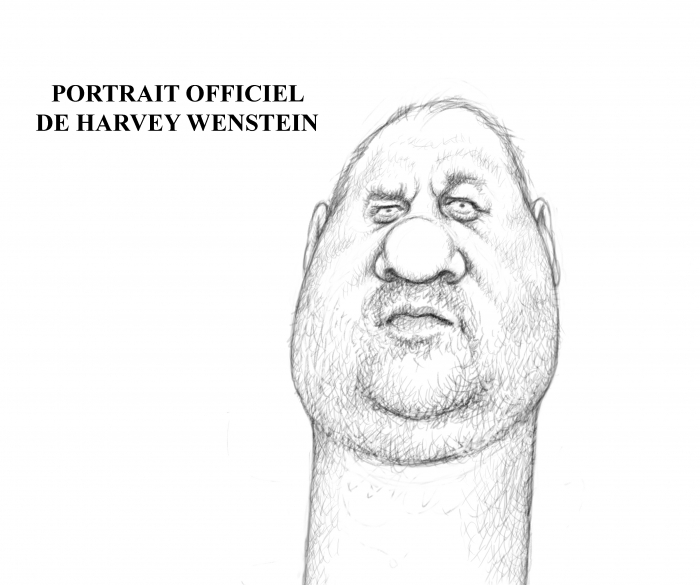 From the Atlantic Journalism Awards website. Atlantic Books Today has been shortlisted for an Atlantic Journalism Award in the category of Best Magazine Cover for the Spring 2017 issue, featuring the work of political cartoonist Michael DeAdder. 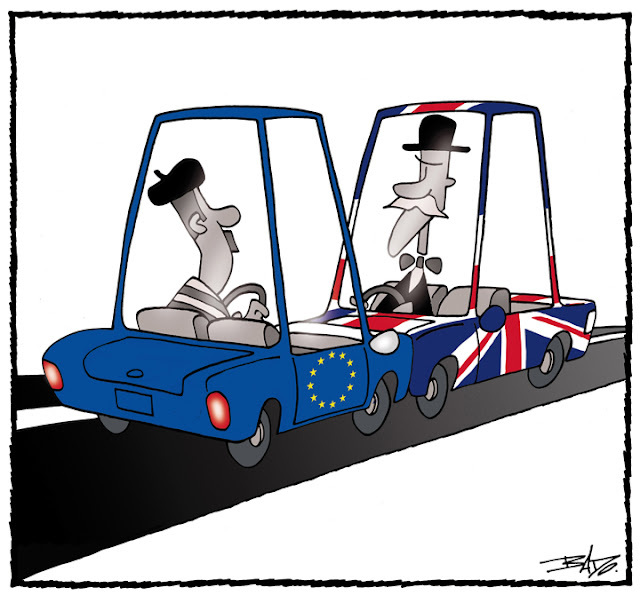 A cartoon I drew for Le Droit about Brexit was selected for the catalogue of the 23rd International Cartoon Contest "Humour a Gallarate" in Italy. 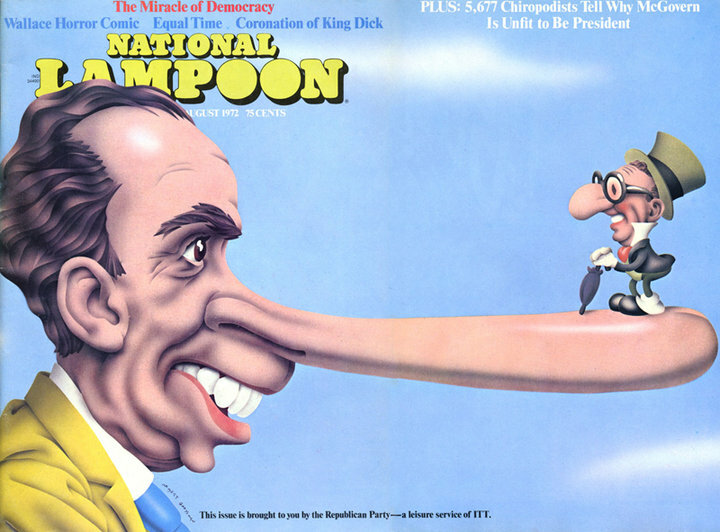 The theme was "On the road" and the winning cartoons can be found here. The theme of the contest was "child brides". 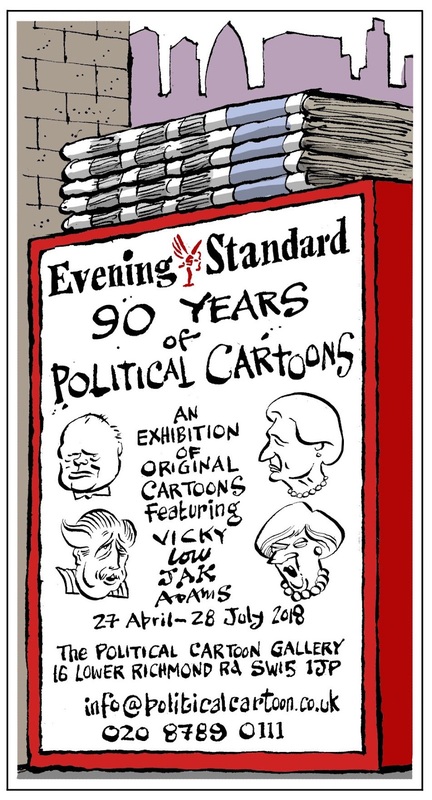 An exhibition of original cartoons celebrating 90 years of political cartoons from the Evening Standard featuring Low, Vicky, Jak, Blower and Adams. Cry and you cry alone. 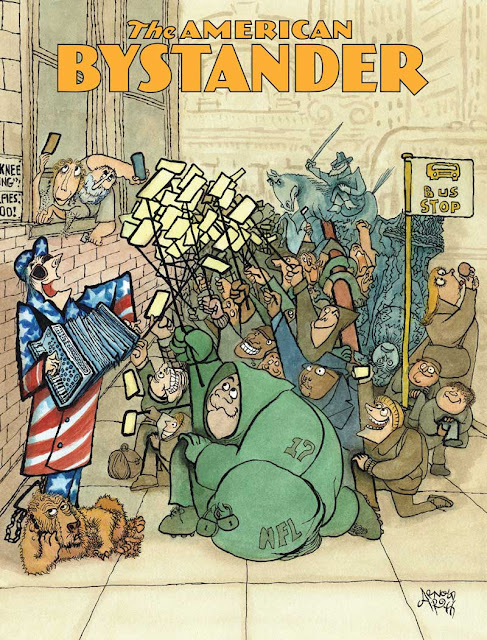 Michael Gerber, the founder and publisher of The American Bystander, the last of the sophisticated American humor magazines, may be committed. 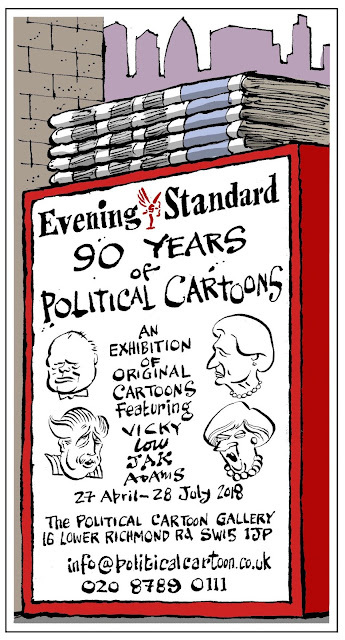 In fact, he is committed to print. Once, the field was full of funny mags; now, trenchant humor has migrated to late-night television and the digital world as populated by laff-makers too. 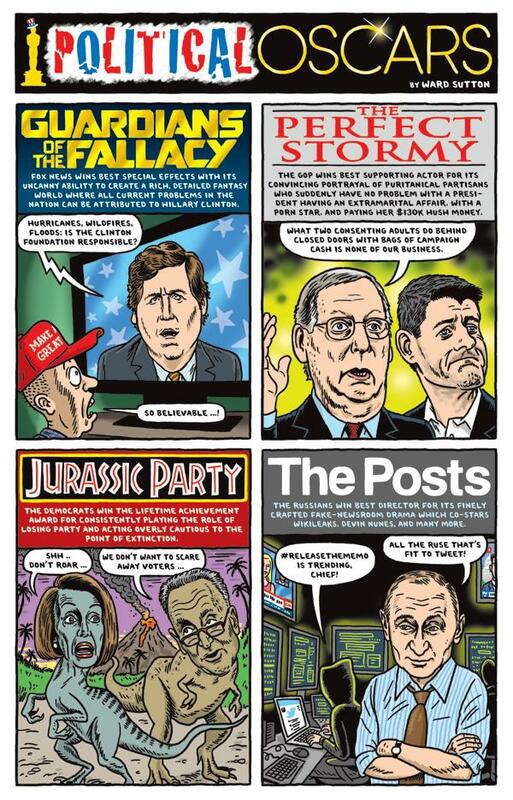 Has this hurt the following of Gerber’s magazine? Let’s see. 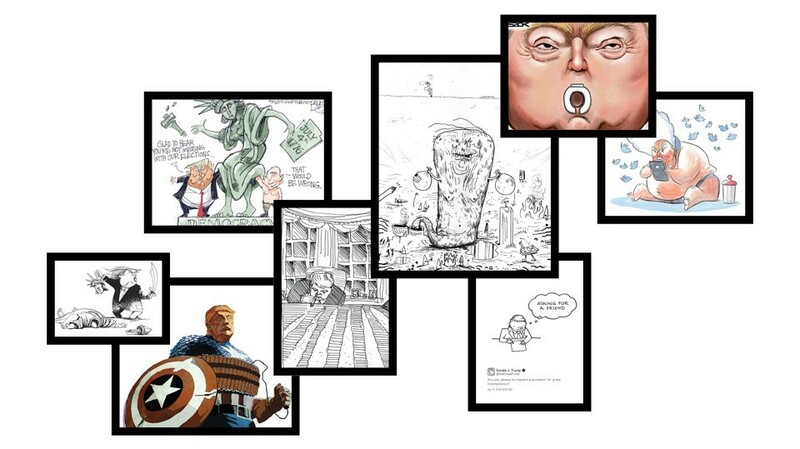 The participants to the Niels Bugge Cartoon Award were informed yesterday that the competition organizer, Niels Bugges Kro & Hotel, went bankrupt. 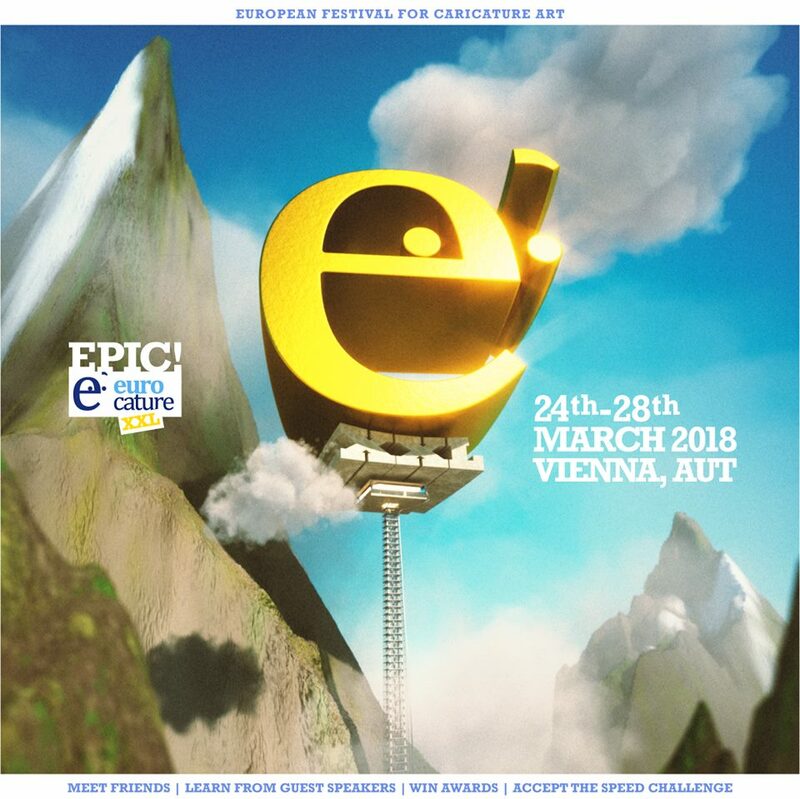 At the moment, the organizers of the contest were trying to find a way to continue the project on a smaller scale and will presumably be able to announce the winners in September. 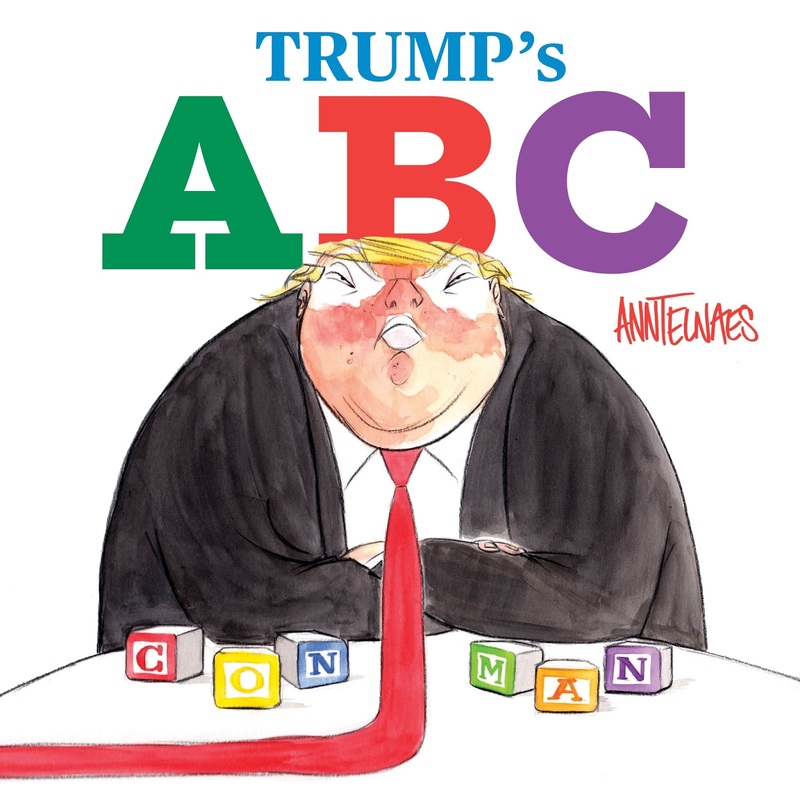 The Pulitzer Prize-winning political cartoonist Ann Telnaes has over the last 20 years skewered injustice, inequality, sham, hypocrisy, racism, misogyny, and corruption with her incendiary combination of elegance, wit, and moral suasion. I assumed Prof Hawking had succumbed to illness or age, but this cartoon makes it look like his wheelchair just made a hard stop. 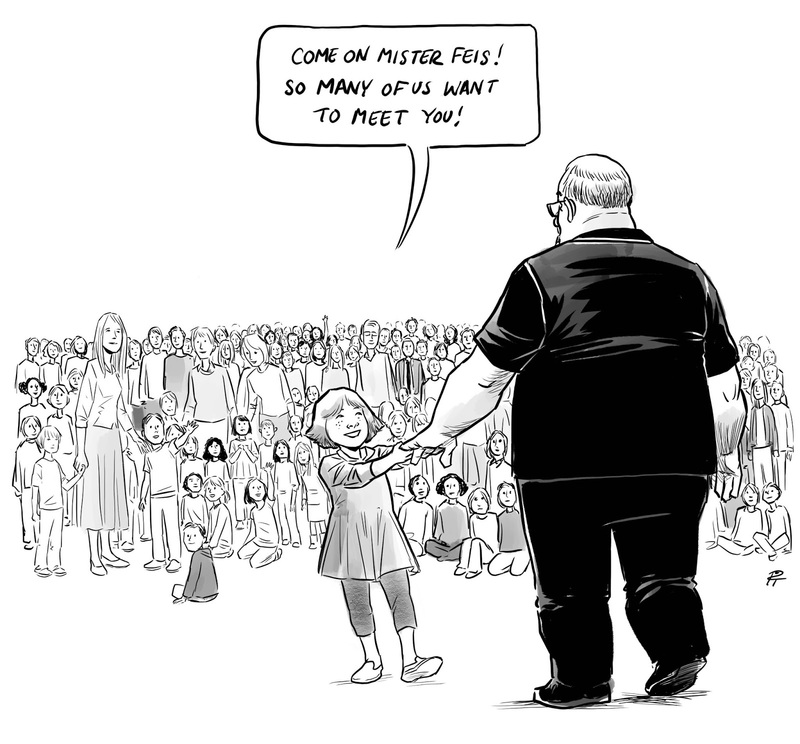 Whether it’s Stephen Hawking leaving a wheelchair or the Buddhist Steve Jobs meeting God, these grief gags show the decline of cartooning as an art. 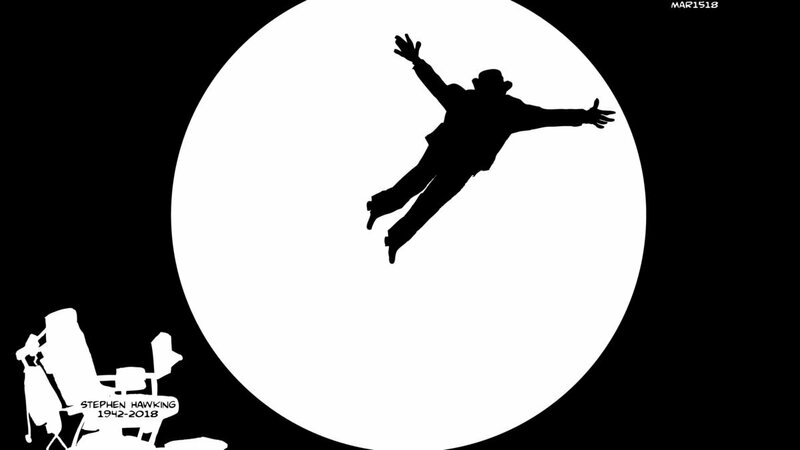 Robert Grossman was born on March 1, 1940 in Brooklyn and died on Thursday at his home in Manhattan. In a career spanning fifty years, his illustrations have appeared over 500 times on the covers of various national publications such as TIME, Newsweek, Rolling Stone, Esquire, TV Guide, Sports Illustrated, The Times, The Nation, The New York Observer, The Atlantic Monthly, The New Republic, Evergreen Review, New York, National Lampoon, and The New York Times. 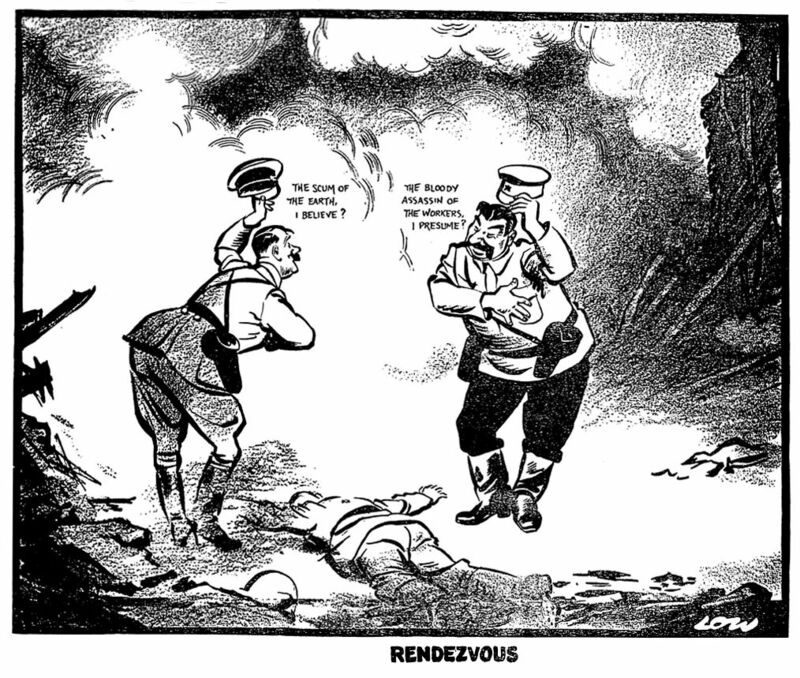 Edu Galán and Darío Adanti are sitting in the offices of satirical magazine Mongolia, in the basement of a shoe shop in Madrid’s Malasaña district, ruing the fact that a recent news story broke too late for them to put on their next front cover. 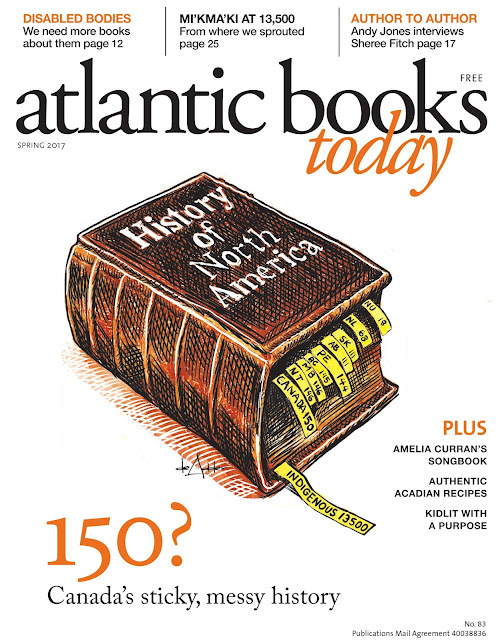 Sarah Boxer in The Atlantic. 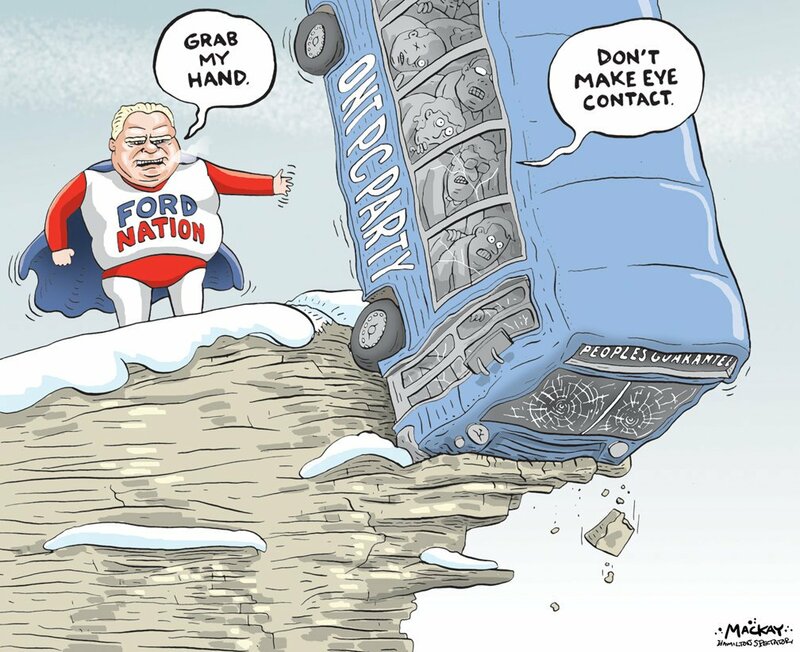 Newly chosen Progressive Conservative leader Doug Ford has been a familiar face to Ontarians – and especially Torontonians – for years. As a city councillor, he was by his brother Rob’s side during his headline-grabbing tenure as mayor. Their father, Doug Ford Sr., was also a provincial politician and successful Etobicoke businessman. I was pretty sure yesterday, as I sat at my drawing table, that I would not be the only cartoonist inspired by David Low's " Rendez-vous"published in The Evening Standard on September 20th, 1939. 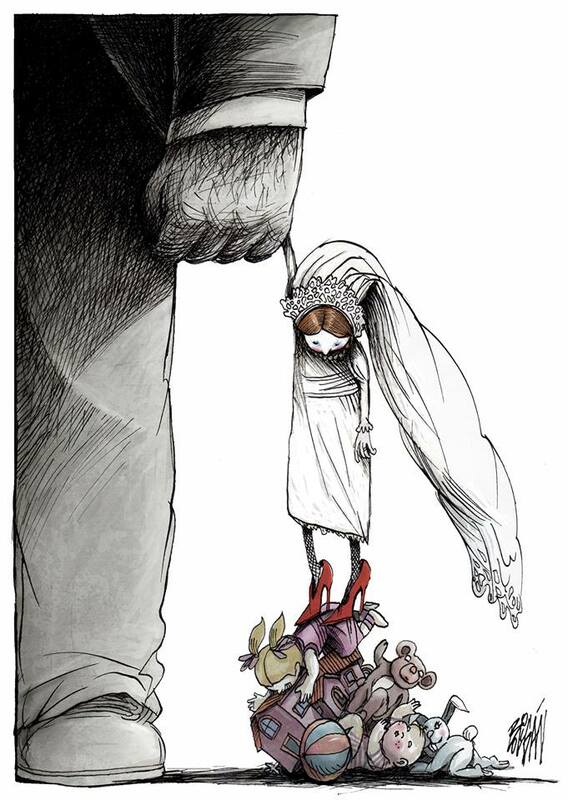 From André Carrilho's page on flikr. 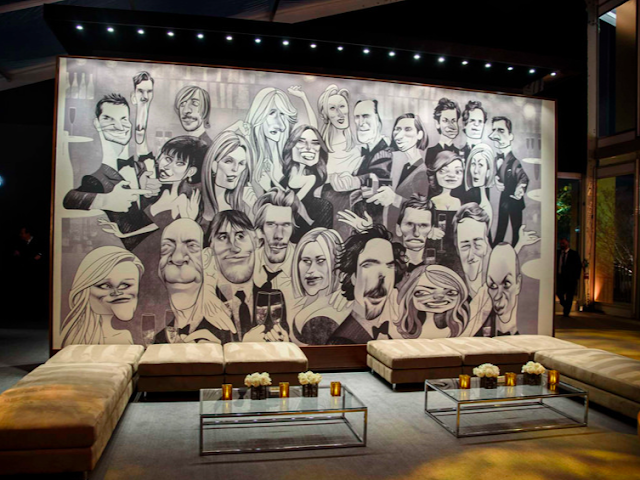 Guests of the "Vanity Fair" 2015 Oscar party were treated to a mural drawn by cartoonist André Carrilho. 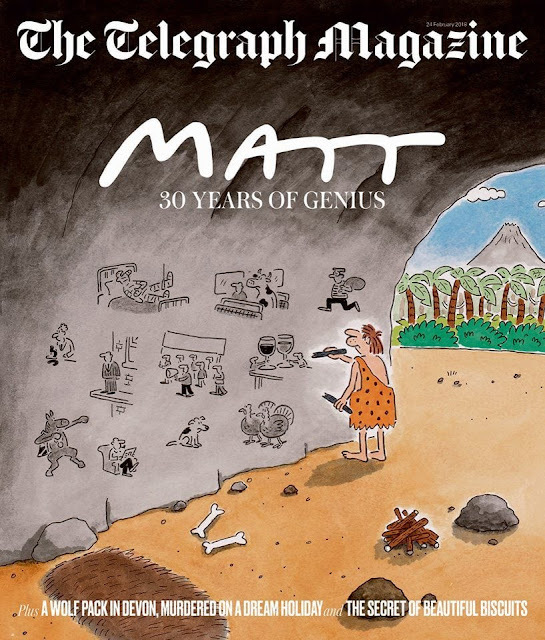 The Duke of Edinburgh has paid tribute to the “genius” of the Telegraph’s Matt, as Britain’s leading public figures celebrate the cartoonist’s 30th anniversary at this newspaper. From Oscar Grillo's Facebook page. 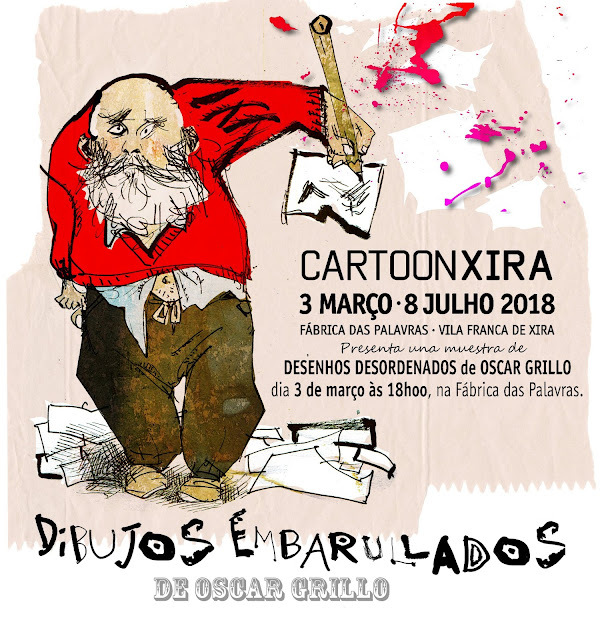 Messy drawings in Portugal from March 3rd to July 8th...Miss it at your peril!...The works were selected by the great Antonio Antunes. Eight days have passed since Pia Guerra’s “Hero’s Welcome” became an enduring memorial to the victims of a deadly school shooting at Marjory Stoneman Douglas High School in Parkland, Fla.